Deborah Copenhaver-Fellows is recognized throughout the United States for her bronze and silver sculpture. Her works can be seen in corporate and private collections, including the United States Capitol Building and the Reagan White House collections. Deborah Copenhaver-Fellows’ monument work has been commissioned by the University of Texas, the State of Montana, and most recently, James Irvine in Los Angeles. In 1990 Deborah Copenhaver-Fellows won the competition to sculpt the Washington State Korean War Memorial for the State Capitol grounds. With a degree in fine arts, Deborah Copenhaver-Fellows has continued to study sculpture and art history in the United States, Italy, France, and Greece. 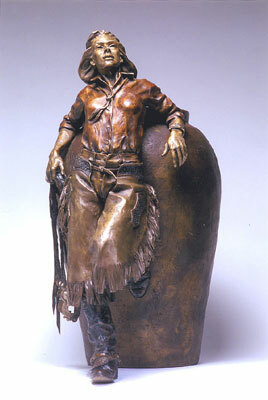 She currently lives with her artist husband, Fred Fellows and daughter, Fabienne at their home in Sonoita, Arizona. 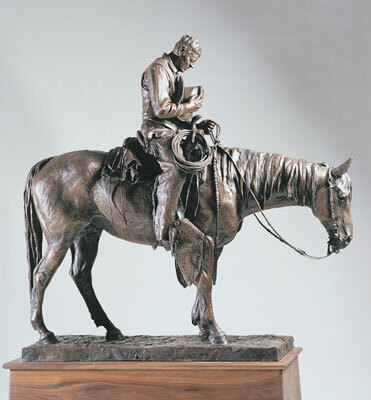 Deborah Copenhaver-Fellows, She Rode Good Horses, Bronze Edition of 35, 31" x 14" x 23"
2012 - Winner of AHAC (Arizona Historial Advisory Commission) Barry M. Goldwater sculpture commission, National Statuary Hall, U.S. Capitol, Washington, D.C.
2008 - Won Best of Show Sculpture Award, Cowgirl Hall of Fame, Fort Worth, Texas. 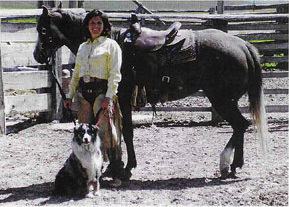 "Youth was in the Saddle There With Half a World to Ride"
Sept. - Nov. 2007 - "She Flies Without Wings" exhibited at juried show, American Academy of Equine Art, Lexington, Kentucky. Mt. 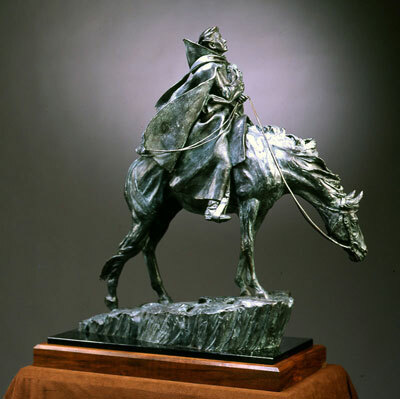 Rushmore Park, Featured Artist "Women of the West in Art"
Deborah Copenhaver-Fellows, Trail of Dreams, Bronze Edition of 50, 28" x 26" x 10.5"